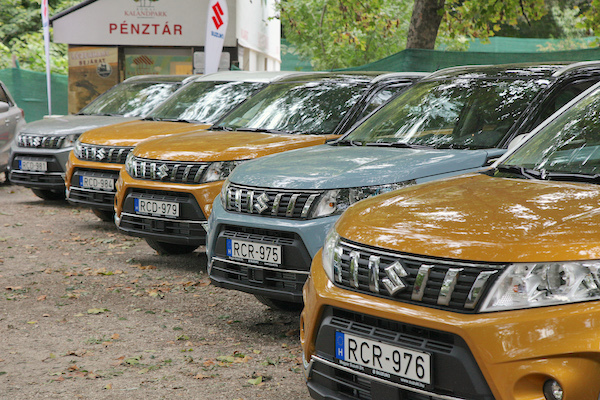 The Suzuki Vitara is the best-selling vehicle in Hungary for the third straight year. Now updated with Private sales Top 14 brands and Top 10 models. Consult 25 years worth of Hungarian Historical Data here. The Hungarian new car market shows no sign of slowing down with another fantastic 17.5% year-on-year improvement in 2018 to 136.601 registrations marking an 8th straight annual gain to reach the largest annual volume since 2008 (152.884). This year’s tally is equivalent to 2.5 times the low of 54.165 units in 2010, but new car sales in Hungary were higher than this year during the entire 2001-2008 period, hitting a high of 208.430 sales in 2003. Considered a local thanks to its Esztergom factory near the border with Slovakia, Suzuki surges 27.2% to comfortably remain the best-selling carmaker in the country for the third year in a row at 14.1% share, its highest since 2009. Keep in mind Suzuki previously led the Hungarian brands ranking for 13 consecutive years between 1997 and 2009. Ford (+20.1%) also outpaces the market to consolidate its 2nd pace with a round 10% share, distancing Skoda (+12.5%) and Opel (+11.3%) both a little soft. Toyota (+26.3%), Volkswagen (+21.6%), Kia (+21.2%) and Nissan (+18.7%) also impress whereas as a testimony to the dynamism of the market, Dacia (+9.7%) is the only carmaker in an unchanged Top 10 to post a single-digit gain. Ssangyong (+117.5%), Bentley (+75%), Ferrari (+66.7%), Jeep (+48.9%), Peugeot (+32.1%), Jaguar (+30.7%), Porsche (+29%), Tesla (+28.6%), Volvo (+26.2%) and Seat (+24.1%) stand out further down. 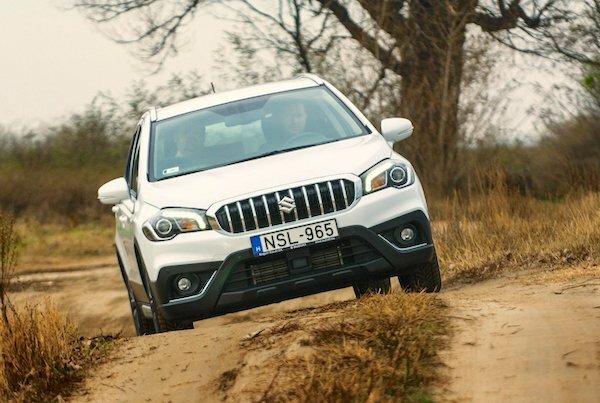 The SX4 S-Cross makes it two Suzukis on the annual Hungarian podium for the first time since 2008. Model-wise, the Suzuki Vitara (+26.6%) also signs a third consecutive win, becoming the first nameplate to sell over 10.000 units in a single year in Hungary since the Suzuki Swift in 2007 (15.661). The Vitara is by far the best-selling SUV in the country, holding a 20% share in that segment. The Skoda Octavia (+0.9%) struggles even though it remains in positive, seeing its share thaw from 5.3% to 4.5% while the Suzuki SX4 S-Cross (+46.2%) takes advantage of a long wait on the new generation Dacia Duster (-10.1%) to enable Suzuki to claim 2 nameplates on the Hungarian podium for the first time since 2008. The Ford Focus (+9.7%) rounds up the Top 5 like last year while the Toyota Yaris (+39.8%), Nissan Qashqai (+33.6%), Ford Kuga (+28.4%) and Renault Clio (+20.5%) also beat the market inside the Top 10. Notable performers further down include the Ford Ecosport (+201.7%), Ford Tourneo Custom (+106%), Toyota C-HR (+72.1%) up to #14, one of its highest rankings in the world, Skoda Karoq (+53.3%), Toyota Auris (+53.3%), Suzuki Swift (+52.6%), Renault Captur (+47.6%), Kia Sportage (+45.5%), Hyundai i30 (+40.2%), Dacia Sandero (+38.4%) and VW Jetta (+35.1%) throwing its last pre-WLTP examples in an August rush and nabbing the monthly pole position then in the process. The VW T-Roc (#44), Hyundai Kona (#46), Opel Crossland X (#48) and VW Arteon (#50) all spend their first full year in market inside the Top 50. Dacia is the #2 carmaker with private buyers in Hungary in 2018. With only 41% of overall sales in 2018 or 56.000 units going to private buyers, Hungary is one of Europe’s most fleet-obsessed market. Suzuki improves its positions further when only looking at the Private Sales channel, holding a 21.4% market share thanks to a 62.2% PV Ratio (PR). That’s more than twice the amount of the #2, Dacia leaping from #7 overall thanks to 74.2% PR as Toyota rounds up the podium at 56.6%. Honda (70.3%), Mazda (60.4%) and Kia (53.9%) also improve their ranking thanks to a strong private following but Skoda (16.6%), Volkswagen (21.8%) and Ford (25.7%) show an extreme reliance on fleet sales in Hungary. 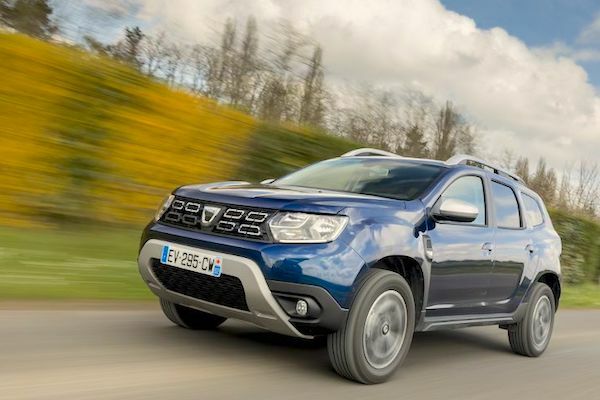 Model-wise, the Suzuki Vitara (55.6% private) and SX4 S-Cross (67%) hold the top 2 spots with private buyers just as the Dacia Duster (75.3%) closes the podium, with Dacia also placing the Sandero (66.7%) and Logan (84%) inside the private Top 10. The Opel Astra J (72.7%), Corsa (70.5%) and Toyota Yaris (59.9%) also shine. Full Year 2018 Top 40 All-brands and Top 50 models vs. Full Year 2017 figures below. Full Year 2018 Private sales Top 14 brands and Top 10 models below.